I have always resisted change. I would rather have another four hour root-canal, than do something that I know will cause me to "give in" to what society says I should do. Take my hair for instance; I just can't change the style! I have pretty much worn it the same way since the 70's. All of those new styles make my head spin. Literally. There is just too much work involved. I refuse. I love to buy new clothes, but I just can't stand spending money on pants that only pull up to below my belly button! And those shirts that are made out of whatever material it is that hugs your uh, extra skin? Please!! I like my own style, because I feel more comfortable that way. My way. Decorating my home is the same story. I don't want the look that everyone else has. I like things that remind me of who I am, and the times that I loved so much. Friends call me an old soul, and that's ok. Actually, I think I prefer the name "Vintage Soul." Being a vintage soul means I can shut out a lot of what I don't like in this world, and embrace the good stuff from the past. Now don't get me wrong, I know we have to live with reality, and we can't go into a coma everytime life gets tough. I stay on top of today, but I don't have to like it all. AND, I refuse to conform. It's no secret to family and friends that I make my own rules regarding my style, and my life. Sounds kind of selfish doesn't it? Thats ok. This is a complicated world that we live in, and choosing to keep vintage in the front of my brain works miracles for me!! 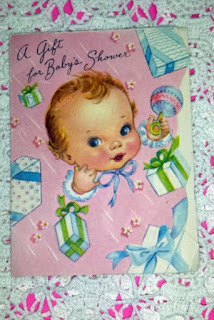 Please enjoy some pictures of some vintage things that make me feel good! These items are all on my web-site!!!! !